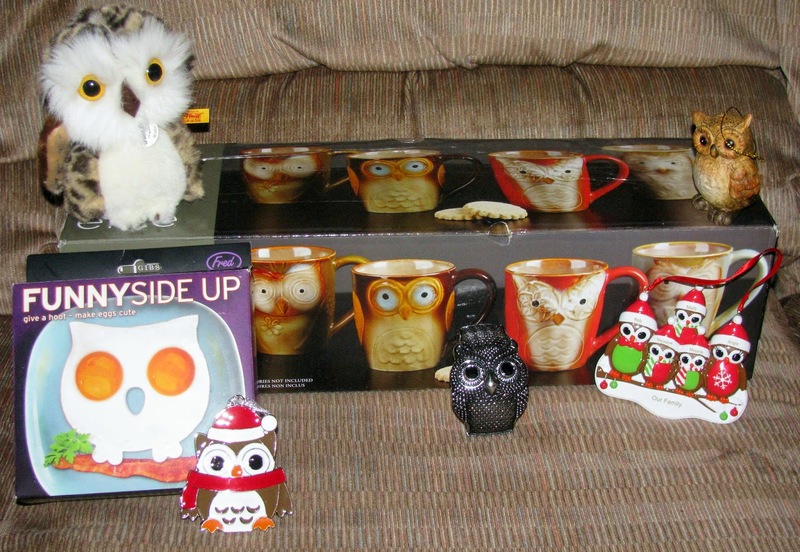 It's no secret that we like owls, and a lot of owl themed gifts were under the tree this year. Some I bought for Rob, and some were from friends. I bought Rob a Steiff stuffed owl from the German pavillion at Epcot in November and also an owl themed "Our Family" Xmas ornament. We received a couple other owl ornaments from friends tied to our gifts from them. My niece sent us owl mugs from Alberta, and they arrived all in one piece! I received a lovely owl bracelet and probably the most interesting gift was a new fun way to fry eggs! It was a very owlie Christmas at our house this year, as it started with our owl themed Christmas tree. 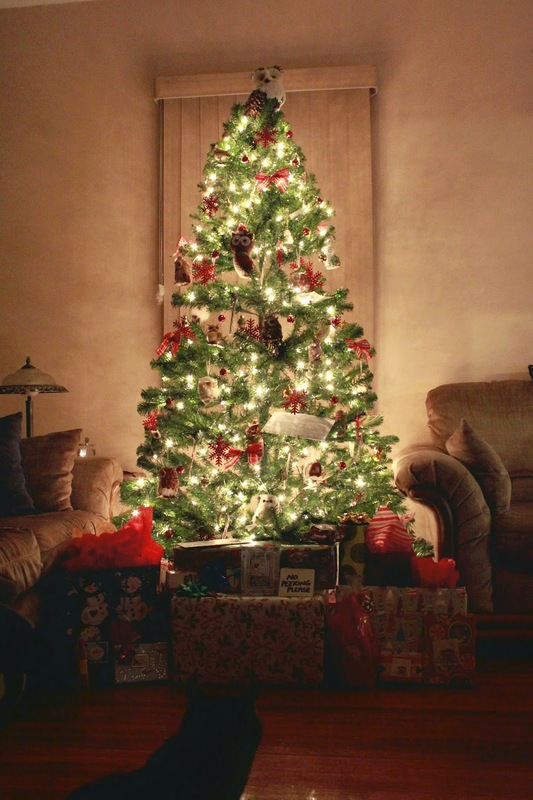 I hope you all had a great one! Lovely owl presents. I thought of you because my daughter gave John five framed owl photographs that she had taken at an owl sanctuary she visited back in the summer. He was very pleased.